Play reading is a popular activity and our group has a steady membership of approximately fifteen. With careful direction, everyone has a chance to read and enjoy flexing their voices in a range of parts. The Crowborough Arts Play reading Group has been running successfully for some years now, with a steady membership of 15 to 20 members. Over that time we have read a wide variety of texts and we actively encourage members to put forward their own suggestions. Mostly we read plays around a particular theme;for example in the past twelve months we have read several Irish plays including works by Sean O’Casey and Brian Friel, and are currently reading plays by American playwrights including Tennessee Williams and Neil Simon. Prior to that we have read examples of contemporary English drama and classics of European drama. Our local library provides us with copies of the plays we request. You are not expected to be a first rate performer to enjoy reading plays. Our leaders ensure that everyone has a chance to read at each meeting. There is usually an opportunity to get hold of the script in advance and acquaint yourself with it. We are sociable group and start each meeting with a drink, some nibbles and a chat before getting on to the serious business of play reading. 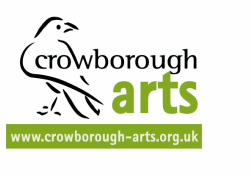 We meet six times a year between October and May on the second Thursday of the month, and there is a small annual subscription of £10 (or £8 for Crowborough Arts members) to cover costs. For more details please call either Julia Ball on 01892 655505 or Christine Roberts on 01892 853159. ​For more literary group events please click here.